Make your own fun in the Aubrie. 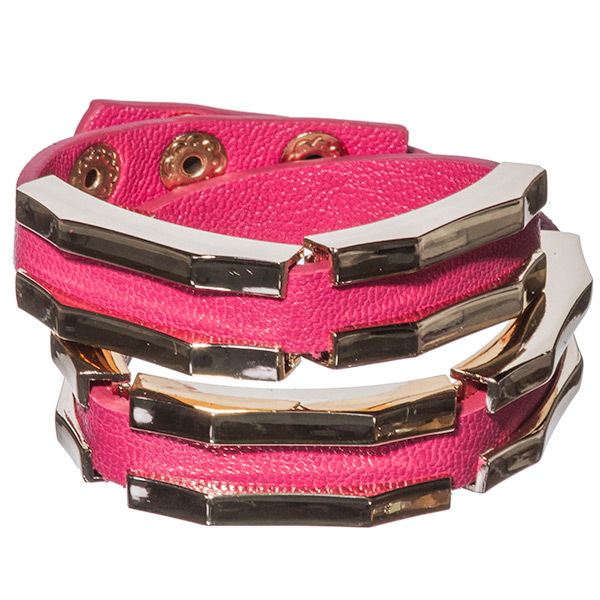 A wrap-around bracelet in hot pink leather featuring gold-edge detailing and press-studs. An accessory for starry nights and Cosmo' sipping. Shop from one of Australia's most rewarding online jewellery stores. Don’t forget to check out our many special offers.